Hawaii is considered by many as a paradise. Whether you're looking for romance, adventure, or some relaxing time with your family or friends, Hawaii is definitely the place to visit. Now you don't have to have a huge bank account in order to enjoy what the Aloha State has to offer. As a matter of fact, you can enjoy so many things in these islands with just a shoestring budget. Read on for tips on how to make the most out of your Hawaiian vacation without spending a fortune. If you are going to Hawaii for a vacation, it is best to start planning for the trip as early as possible. Planning for the vacation weeks or months in advance means you still have time to look for the best vacation deals. There are lots of factors that you should keep in mind when planning a trip to any of the islands of Hawaii. Among these are your destinations and itinerary. Making an itinerary means writing down a schedule and a list of things you wish to do while in Hawaii. Having an itinerary is very important especially when you or your travel agent is looking for that perfect vacation package deal. Another important factor that you have to consider is when you actually plan to go to Hawaii. To save a lot of money, schedule your trip to Hawaii during the off-season months. This is because many airlines offer discount packages during these months. Hawaii is known for its mild weather all-year round so don't worry if traveling during off-season may mean braving Hawaii's winter months. Even if it is raining in one place, you can still find spots where the sun is shining. This means that a winter vacation can still be enjoyable and can be worth the trip. Plus, there are festivals and big events held every month in the different islands. Another benefit of traveling to Hawaii during off-season is you won't have to deal with crowded tourist spots and beaches. During off-season, many hotels also offer packages and deals at discount rates to attract more visitors. Book your reservations as early as possible to take advantage of special deals and discount rates. You also don't need to worry about your options for accommodations because there are different kinds of accommodations you can choose from. You can find single rooms in restored plantation homes, small cottages at beaches, condos with ocean views, and suites in beachfront resorts. With a good variety of options, you will surely find one that would be right for your budget. If you wish to stay in a hotel but you have a limited budget, there are many affordable hotels that offer cozy rooms. If you want resort-type accommodations, surf the Net for affordable resort-type establishments. For your convenience, look for an accommodation that's near the beach or tourist spots. Bed and breakfast establishments are also popular choices among many tourists. You can really save money in this type of accommodation because breakfast meals are part of the package. In some B&Bs, cooking facilities are offered so that you could prepare your own meals. For a longer vacation, the best choice is a vacation rental. This is especially ideal if you're planning to bring the entire family for the vacation. * Search the Net for deals. Surf the Net for special deals and discount rates offered by airlines and accomodation providers. There are many sites that offer coupons for the budget-conscious traveler. Once you get to the island, you can also grab every promotional brochure you can find when looking for special deals in accomodation and transporation options. * Bring with you things you'll be using during your vacation. You can also save money if you bring some of the things that you will be using. For instance, you can bring your own snorkel, fins, and mask if there is still enough room in your luggage. Rentals offer these items sometimes at expensive prices. It's also advisable to bring formal wear in case you plan to go to a formal dinner or to a dining establishment that requires formal wear. If you have brought one, you don't have to buy a dress or a new coat just to attend dinner parties or enjoy fine dining in certain restaurants. * Hire a travel agent. Hiring and coordinating with a travel agent is a convenient idea, aside from the fact that an agent can help you find the best deals for your budget. This is because travel agents have contacts to various travel agencies, airlines, and accommodation providers. The best way to explore Hawaii is by renting an automobile. It is one of the most enjoyable and affordable way to explore Hawaii because each island offers a variety of scenic drives. By just alotting a budget for gas and food, you can experience one of the most unforgettable vacation moments without spending a lot. 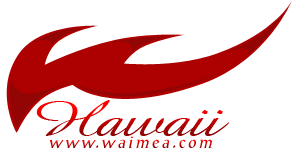 Plus, there are various car rentals in Hawaii that offer affordable services. * Check your hotel for free shows and events. Several hotels in Hawaii actually offer free shows and events for their guests. When staying in a hotel, check with the concierge if they have special events or musical or cultural performances that won't require you to pay for an admission fee. Some hotel deals may also include luaus, so make sure to check these things with your travel agent or with the hotel staff. * Check out local newspapers for free events. Another way to search for free events is to buy a local newspaper. Many free events are posted in the local newspapers, which can include group hikes and museum or library tours. There are various affordable activities you will surely enjoy while in Hawaii. Sightseeing is the number one on the list. There are so many beautiful beaches where you can have an excellent view of the sunset every afternoon. In the island of Oahu, there are so many vacation spots you can visit without having to pay a cent. Aside from its beautiful scenery, you can also have a fun time exploring city life that the state's capital, Honolulu, can offer. You can also go to the Iolani Palace every Friday at 12 pm to enjoy the Royal Hawaiian Band's performance for free. The USS Arizona Memorial, where you will see the Pearl Harbor Museum, offers free tours for a limited number of visitors. You can also hike to the top of the Diamond Head crater. There you will see a dramatic panorama. From the top, you will also see Waikiki. You can also opt to explore the Big Island. One of the best places you can explore is the Akaka Falls, one of the most photographed spots in Big Island. In the island of Kauai, one of the best views to enjoy is the rugged cliffs of the Na Pali coast. If you are interested in snorkeling, you can go to Honaunau Bay. You may choose to go to Kokee State Park, where the Waimea Canyon is located. This place also takes pride in its excellent hiking trails. Meanwhile, Maui is considered as one of the best islands of Hawaii because of its pristine beaches and natural resources. There are more or less 81 beaches in Maui that you can spend the afternoon at while lazily lounging on a towel and reading a favorite book. Or, you can just spend an afternoon gazing at amazing surfers as they battle the waves with just a surfboard and plenty of guts. There is always something to celebrate in Hawaii. One of the most popular events is the Aloha Festival. This is a two-month long statewide celebration that showcases the rich culture and tradition of the Hawaiians. Another famous event is the Merrie Monarch Festival. This week-long event is established to commemorate King David Kalakaua, nicknamed Merrie Monarch because of his patronage to art, especially to music and dance. The different islands of Hawaii also hold food and wine festivals in which the participants can sample both traditional and contemporary Hawaiian cuisine. Many of these festivals offer free events such as craft sessions, food and wine sampling dinners, and cultural performances. If you are looking for entertainment and craft classes for free aside from those offered during festivals, Waikoloa's Queen Marketplace is the destination for you. To see some of the world's best vacation spots and to have an experience of a lifetime is possible even if you don't have thousands of dollars to spend. All you have to do is to look for the best deal for a Hawaiian vacation and once you're there, you just need to look for affordable or free activities you can enjoy. With a little bit of patience and know-how, you'll be able to make the most out of your Hawaiian vacation while on a budget.